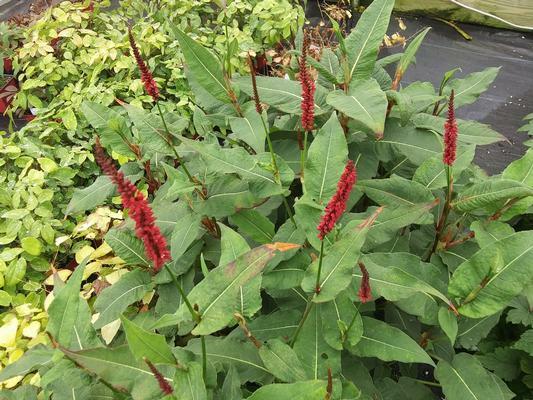 If you love mass plantings then persicaria is a friend. Blackfield is a favorite for the partly sunny areas that need filling in. Green arrow shaped foliage and red flowers give an impressive and uniform look. The emerging flower stalks have black tips giving the plant its name.